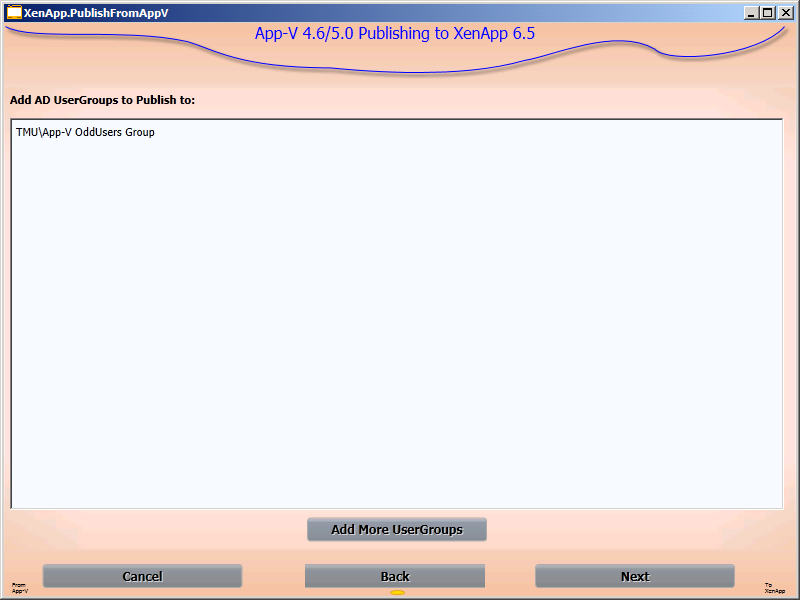 PublishFromAppV is a free tool designed to be used on XenApp Servers using Microsoft App-V.
PublishFromAppV works with virtual applications from either Microsoft App-V 4. * or 5.*. 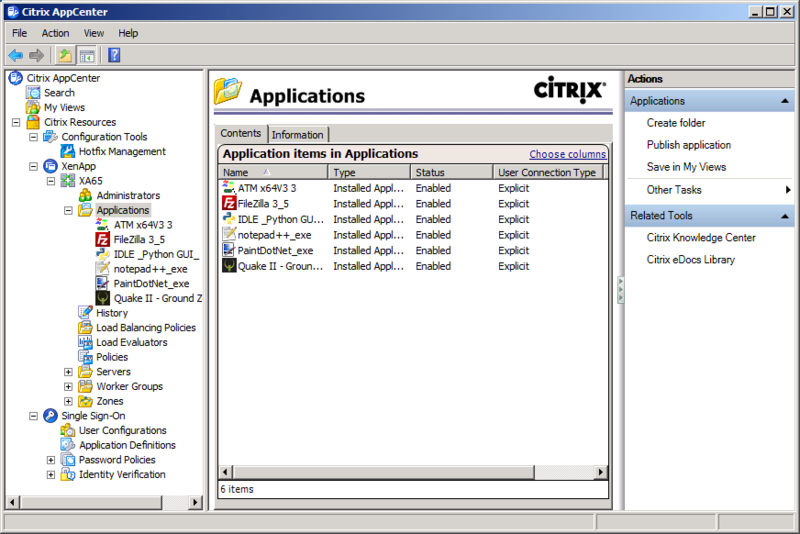 It does not care how the virtual applications are delivered to the server, using the App-V Server, SCCM, or "stand-alone" client. 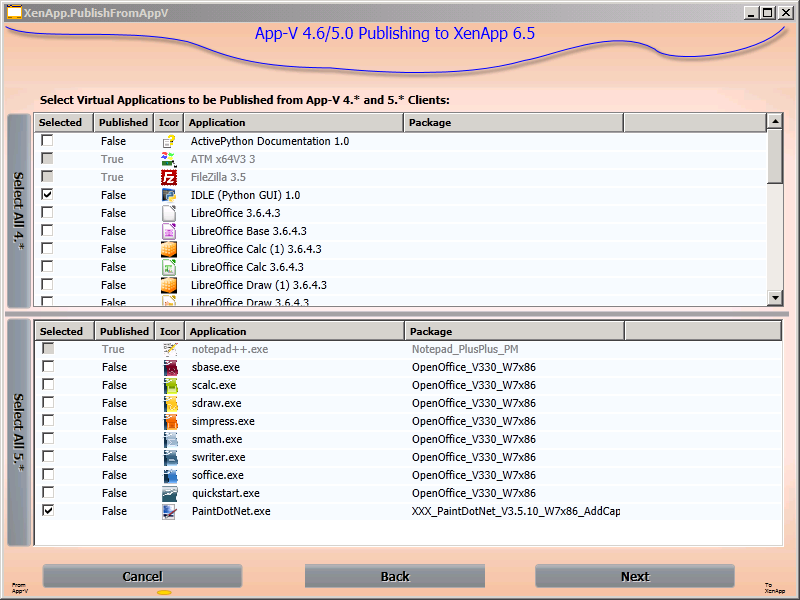 The tool simplifies the job of Adding these applications to XenApp. 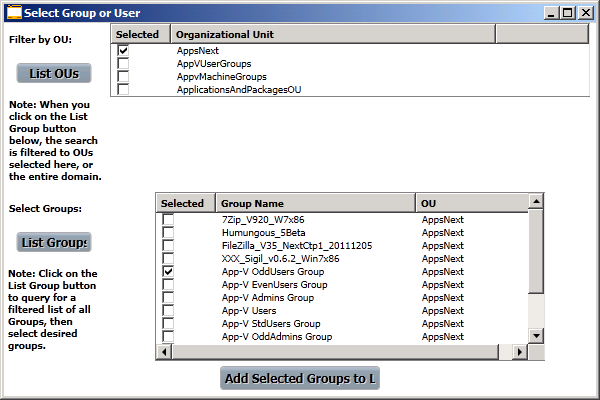 It pulls all of the relivant information, such as the location of the virtual application, icons, working directory, and more, from the App-V Client data for you. 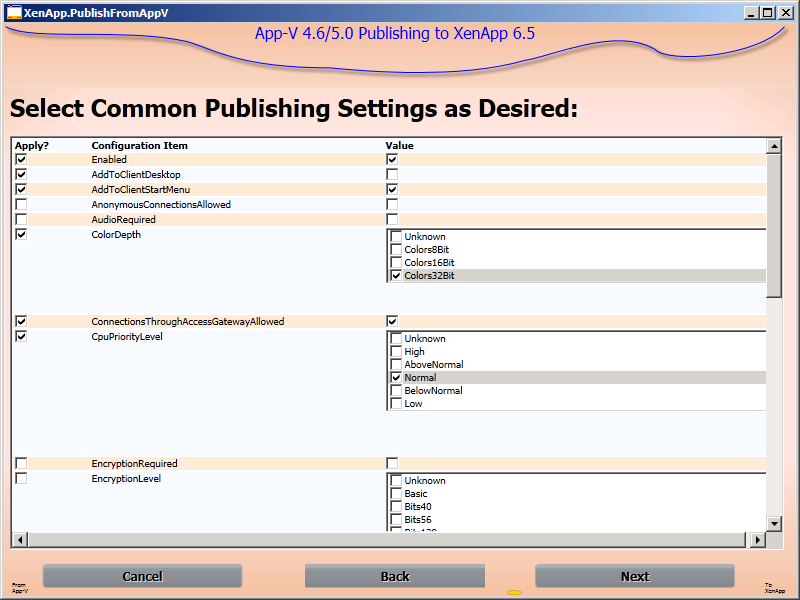 You select the applications, the servers, the AD Groups, and other standard application publishing settings (like bitmap depth or whether to access allow through gateway), and it adds the applications to the farm. Click the Next button to start. 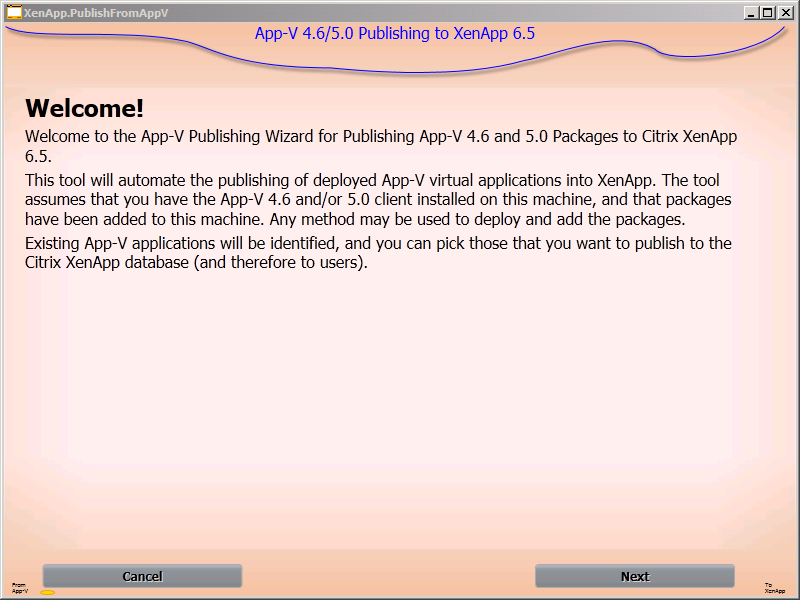 The tool will investigate the system to determine which App-V clients you have installed, and then which packages and virtaual applications exist. 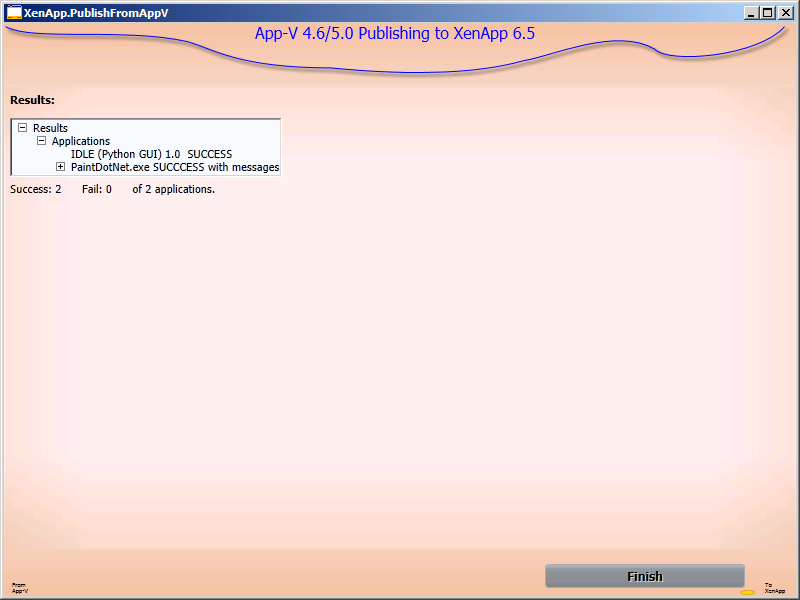 It also checks your farm to see if the application has already been published to the XenApp farm. 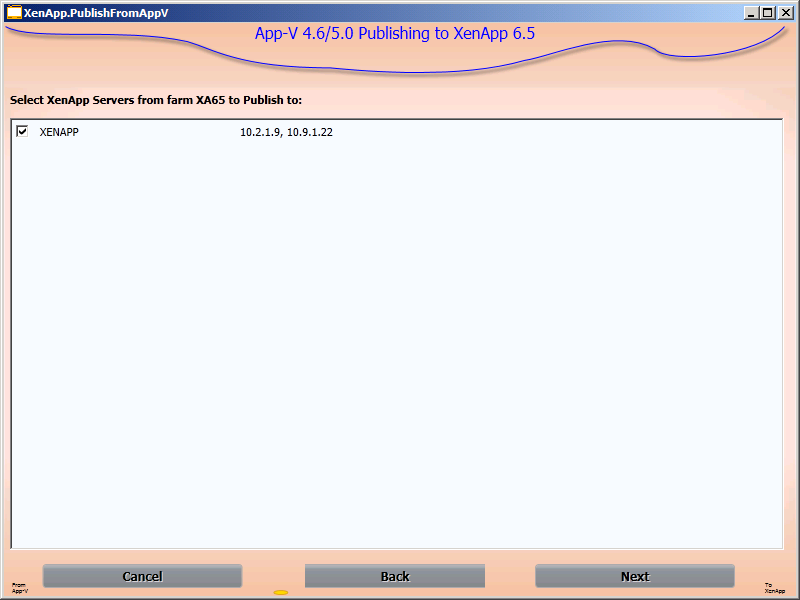 Chances are, you usually set the same paramters for most of your apps, so the tool remembers your previous settings. The left column indicates if you want to set the item, leaving it unchecked means that you get the default unset condition. Click Next when ready. Additional detail information may be found here: Details. NOTE: THIS IS A BETA!!! !